Well this week is pretty much the same as last week. 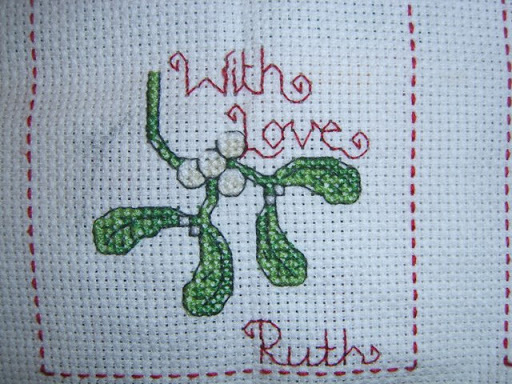 Any rr’ s I have are not due to be posted till January so I’m finishing off the Christmas presents I have to stitch. I’m half way through them all so a big push on this week to get them all complete. A Christmas rr came in and I had time to do it up and post before christmas, I’m now finished with this rr.